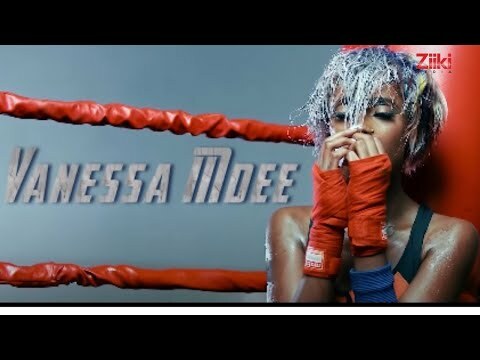 The insanely gorgeous, super talented Tanzanian songstress, Vanessa Mdee, who has had a phenomenally impressive streak of successes in recent times, scores massive points on this one as she features the quintessential ladies’ man, Mr. P (Peter Okoye) of the now defunct P-Square on this brilliant masterpiece titled ‘Kisela’. The multi-award-winning songstress featured artistes such as Reekado Banks, Radio and Weasel, and Cassper Nyovest on her 17-track latest album, ‘Money Mondays’ which is still receiving rave reviews. However, the collaboration serious buzzing off the album was this one featuring Mr. P.
Not only did both artistes bring the heat on ‘Kisela’, the song is an absolute firecracker! Ekelly Beats does a fantastic job on the song’s production, providing the perfect platform for Vanessa’s refreshing vocals to shine through. Mr. P likewise seizes the opportunity to show fans of P-Square who still have doubts about his vocal ability just how well he can sing, as he creates magical harmonies with the pretty songbird. Ace Nigerian music Video director, Clarence Peters, works his magic as well on the song’s video which we can only describe as superior. Not only are the visuals sharp and very well crafted, Vanessa Mdee and Mr. P also seem to have unbelievable chemistry between them, and no matter how many times we’ve seen it, we still can’t enough of just how perfect the video is for the song. ‘Kisela’ is definitely a musical experience you want to enjoy right away. You can stream or download the audio right here, and feel free to let yourself be immersed in the stellar video as well. We can guarantee you’ll love every second of it.